What’s the definition of literary fiction? What’s the difference between literary and commercial fiction? Is one better than the other? Enquiring minds want to know! First, there’s a problem with calling anything “mainstream.” Literary folk often call their writing mainstream and lump everything else into genre. Other writers consider literary a genre of itself, and anything that doesn’t fit in a category is mainstream. So we’ll say “commercial” and “literary” and leave “mainstream” out of it completely. Second, the either/or definition doesn’t work for me. I have books I love that don’t fall in a genre category, but I don’t consider them literary fiction, either. Rosamund Pilcher’s books come to mind, as does Jennifer Chiaverini’s Elm Creek Quilts series. I think of them as “women’s fiction,” which isn’t a structured genre. Another definition is that literary fiction is character-based, and commercial fiction is plot-based. 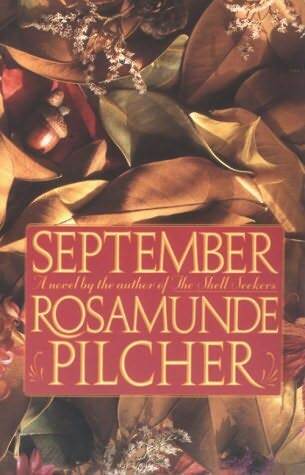 Well, could be, but Pilcher’s September and The Shell Seekers are definitely character-based – I remember wanting to recommend September to my mother, but wondering how to describe it. It’s about . . . people? And yet I don’t consider her writing “literary” like I do Kim Edward’s The Memory Keeper’s Daughter. And I consider Anna Quindlen a literary writer, but there’s a definite plot to One True Thing. The same thing goes for Alice Sebold’s The Lovely Bones. The best definition I’ve heard is that literary fiction deals with how a problem or conflict affects people, while commercial fiction is about what people do to resolve that conflict. And any good fiction has a conflict, remember? I would add that literary fiction has a focus on detail, more close-up description and scenes, that commercial fiction may not. It also tends to be more spare in the writing, not so conversational. Commercial fiction usually requires less work from the reader. It’s what I turn to when I want to escape, not think too hard. So what’s your definition of literary fiction? Who are your favorite literary authors? Favorite commercial authors? Enquiring minds still want to know! This entry was posted in Characterization, Plot, READING and tagged alice sebold, anna quindlen, commercial fiction, jennifer chiaverini, kim edwards, Literary fiction, lovely bones, michael chabon, one true thing, rosamund pilcher. Bookmark the permalink. One Response to Just What Is Literary Fiction?